Back to what I know best - the bargains of the boot sale and charity shop! I have been on a SPREE! I mentioned in a recent outfit post that I had a bit of guilt in wearing an all-new outfit, so here's what I've been buying, and hence 'recycling' to help save the planet. At least that's what I tell myself, to assuage a new kind of guilt that comes with having too-many-dresses, even if they are mostly secondhand. Anyway, you just want to see all of the bargains I picked up, so here they are - it's very photo heavy, I warn you! The majority is high-street, but there's a smattering of vintage. Vintage novelty brooch, £1. My best find from my recent trip to Bude in Cornwall. I'm unsure about the date, it's got a c clasp closure and little jewels in the dangly lemon. 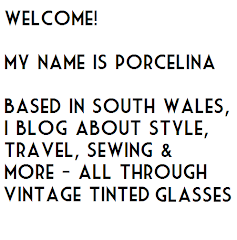 The colours make me think 1950s, what do you reckon? 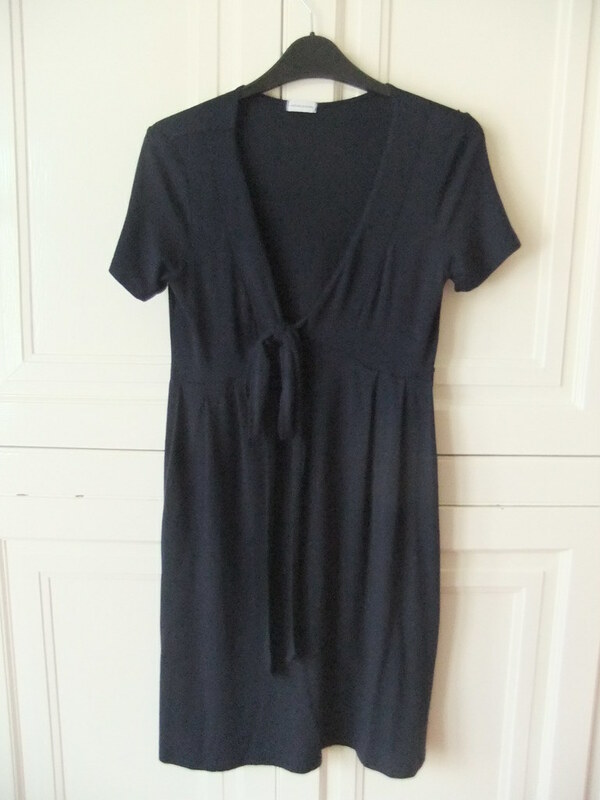 Karen Millen dress, £1. It's slightly too big so drapes rather than hugs my body, but I think it's nice on anyway and can see myself getting at least one party out of it. It will also still fit if I gain weight, so that might be good for the Christmas season! 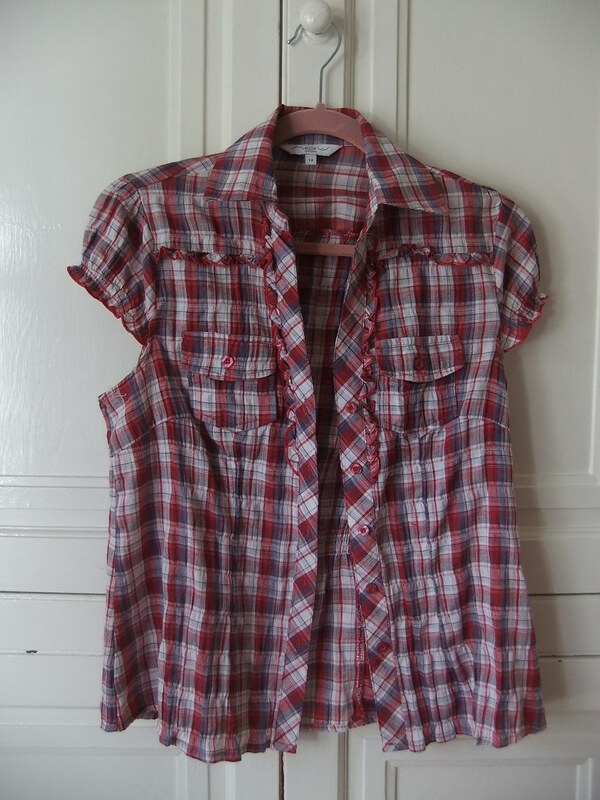 Check shirt, 50p. Because you can never have enough cowgirl shirts. 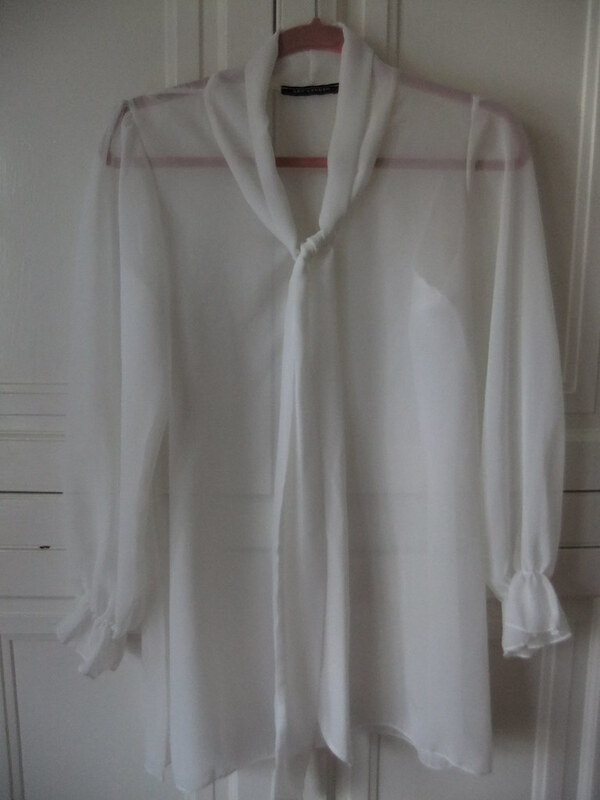 Silky blouse, 50p. I thought this might look nice tucked into a pencil skirt for work. 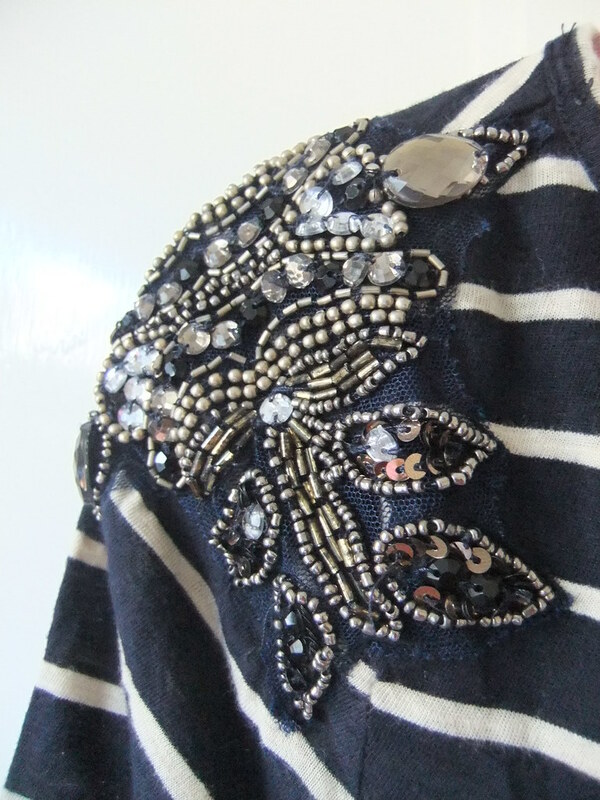 Embellished shoulder top, £1. I actually bought this just for the beads, as I have several items in my wardrobe with beads missing, and this was a cheap option to get some replacements. 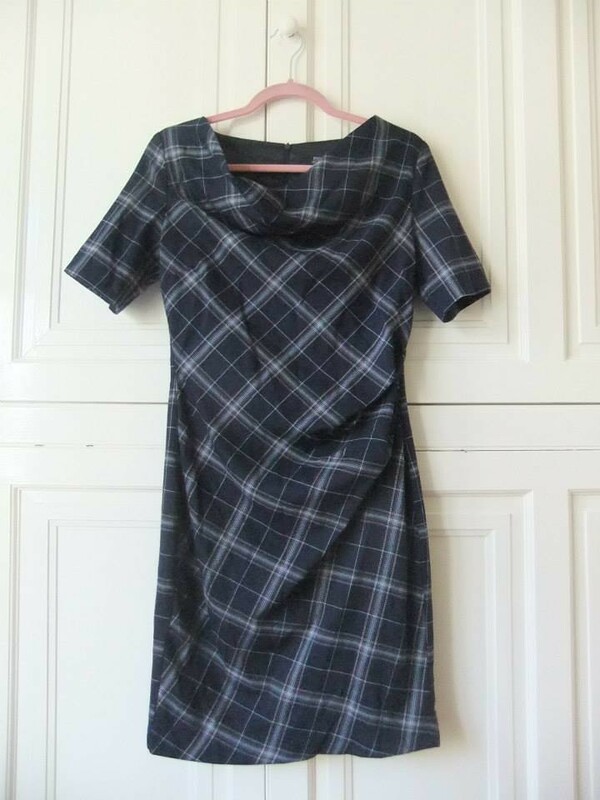 H&M dress, £1. I didn't think this would fit, so bought it with a friend in mind, but it does, hurrah, so my friend loses out on this one. 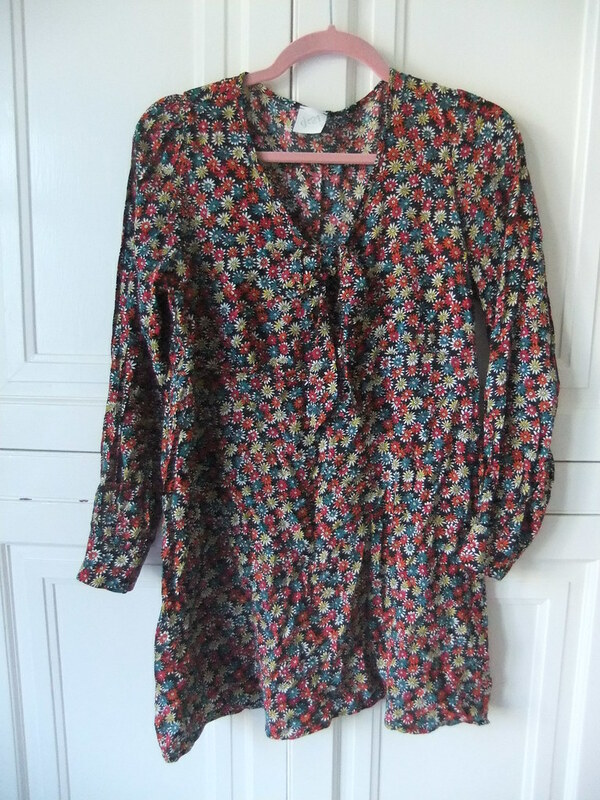 Pussybow blouse, £1. No, I haven't gone all 'new romantics' and won't be wearing this with leather trousers. 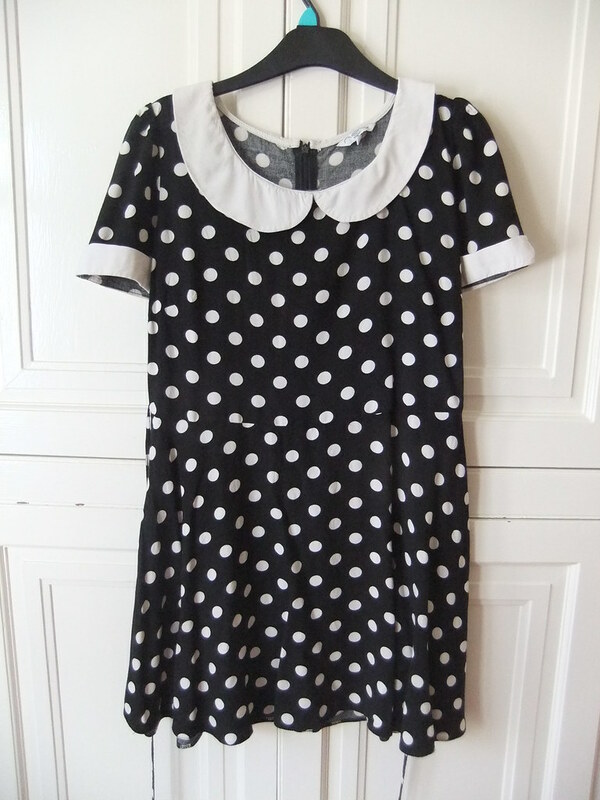 I have a pinafore dress I think it might look nice under. 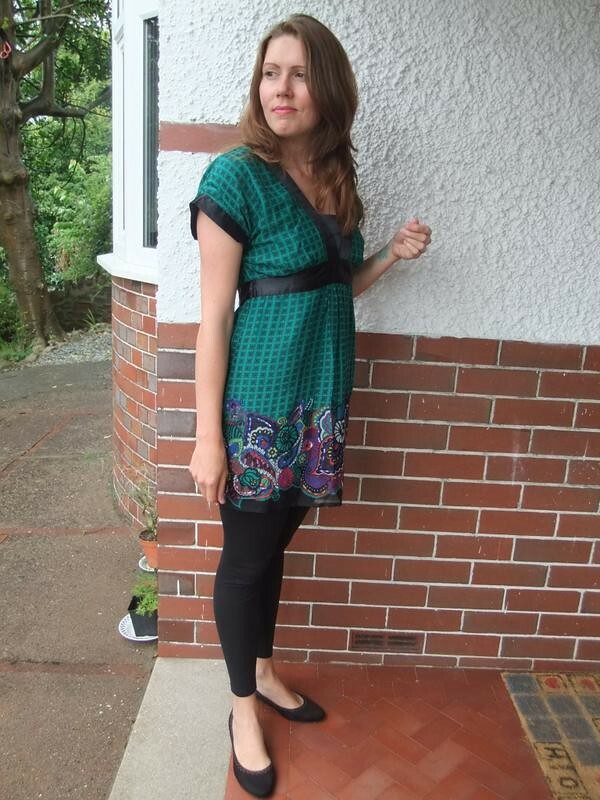 80s dress, 50p. I plan to alter this one slightly, as since reading Vix's story about her accidental exposure, I am terrified of strapless dresses. I want to cut some fabric from the hem to make shoulder straps. 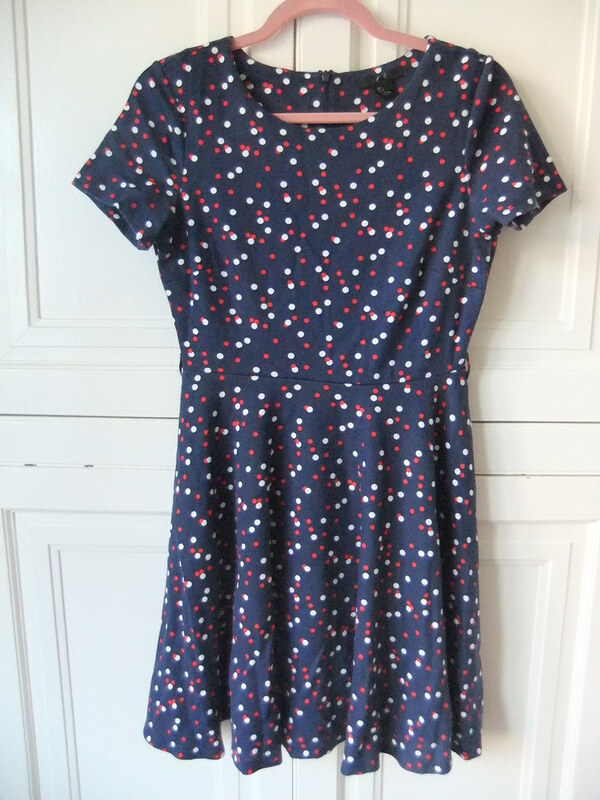 Vintage 1950's dress, £1.50 (It was on the £2 rail, but when I said to the shop assistant, 'did you know that this is quite old? ', she knocked 50p off!!). It's several sizes too big for me, so I have to do some serious sewing to get it to fit me. I just thought I'd do the side-seams first, and then have a look at the darts under the arm to get rid of any excess fabric there that will no doubt result. Does that sound like a good plan? I had a look in my Vogue sewing book but that's all about construction and doesn't cover alterations. 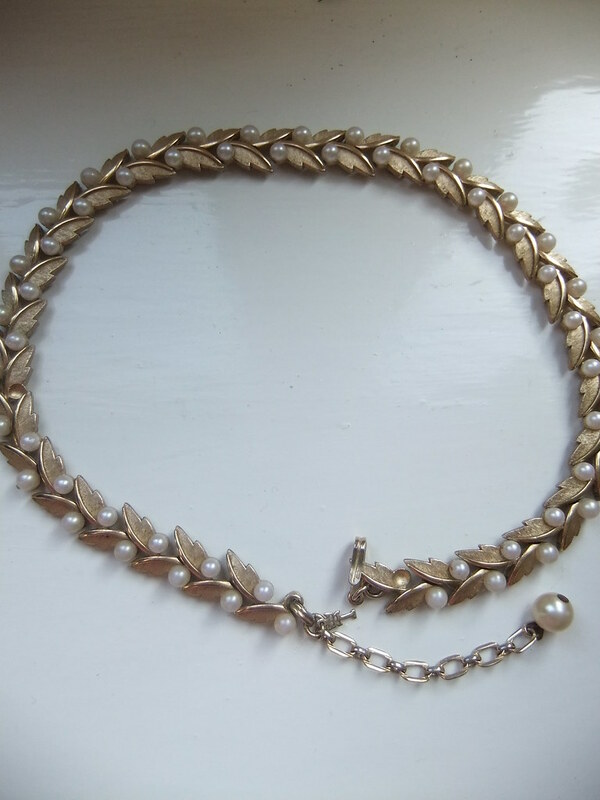 Vintage Trifari necklace (late '50s to late '60s because it has a 'c' copyright logo, I learnt that after looking it up online and finding this excellent article about identification marks), 50p (!). 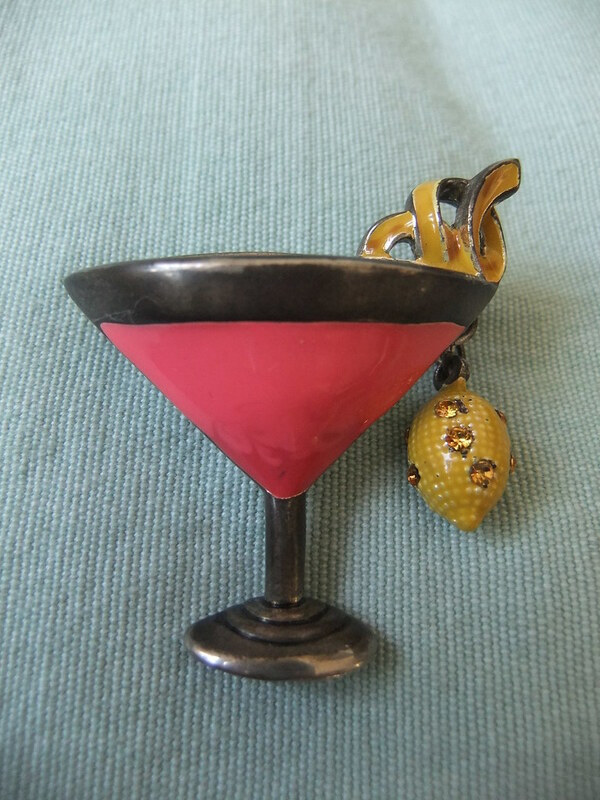 A couple of pearls missing, but otherwise it's a fab bit of costume jewellery, and I have been looking at 'Trifari' online and other mid-century costume jewellery brands since to research it all (thanks again to Mim for giving me a few more names to look up!). I know what I want for Christmas, there's some cracking pieces on Etsy. Three dresses for my friend, two from F&F (£2.50 each) and one from Topshop (£1). Alas they don't fit my Amazonian frame, else I'd keep 'em! If she doesn't want them I'll Ebay them. 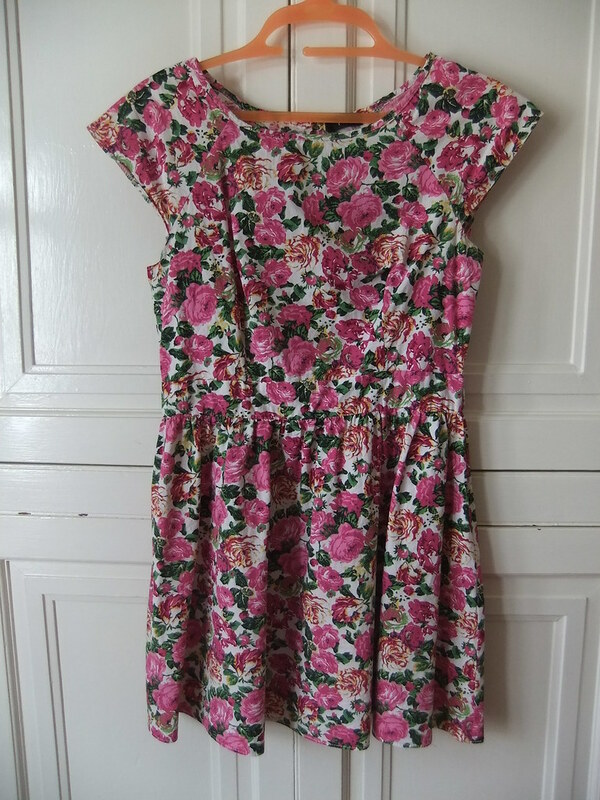 F&F floral dress, £1. I wasn't 100% sure about this one, as generally don't 'do' classic florals, but I like pink and this dress looks great on, albeit naughtily short. I will take this one on holiday to Spain. 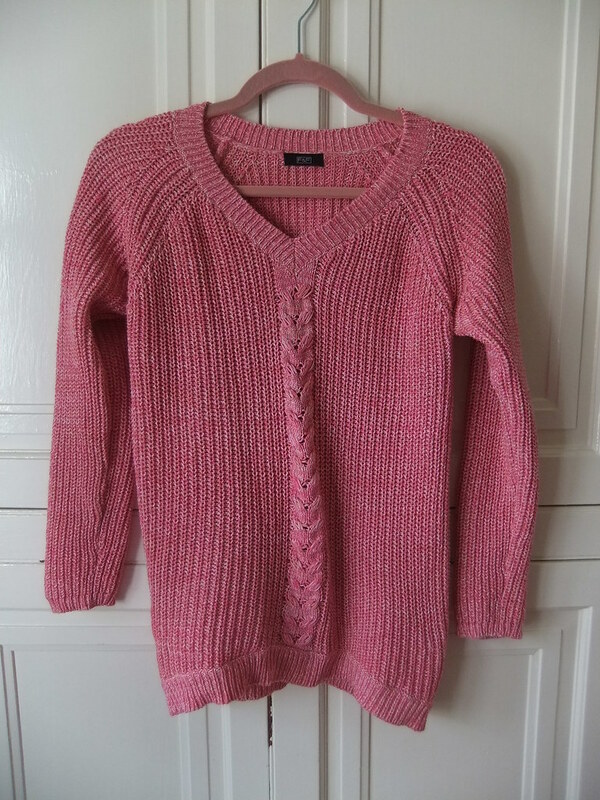 Pink jumper, £1. Cosy cotton, will wear lots on country walks this Autumn. 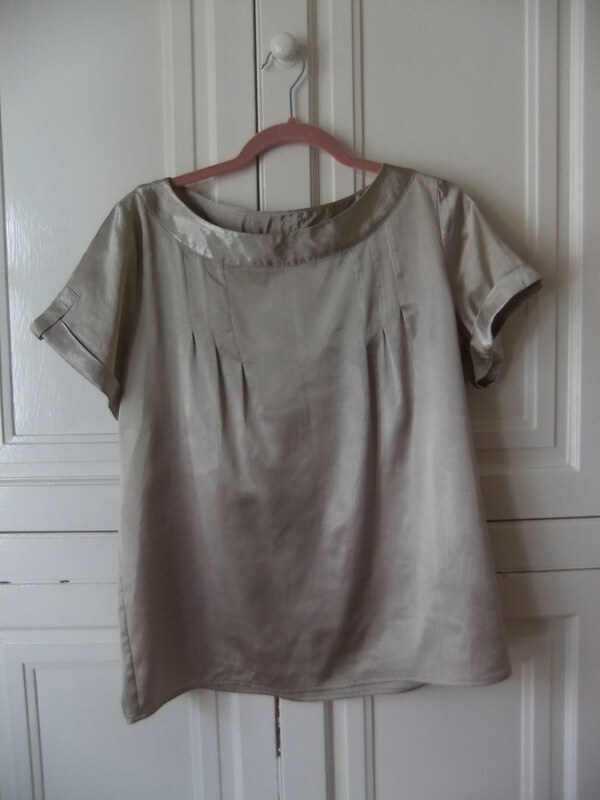 George tunic, £1.50. Perfect with leggings for slouchy days around the house. 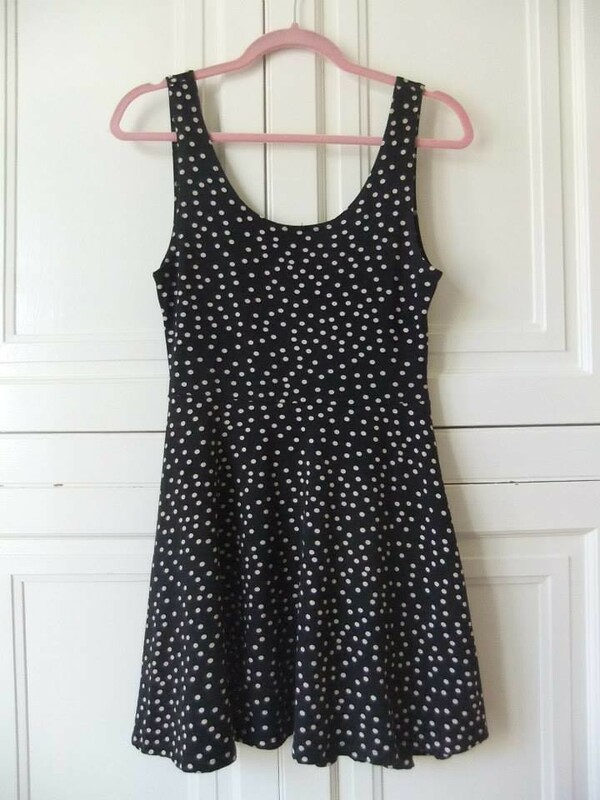 Asos dresses, £6 each. These were a bit of a risk at that price, but they fit well and I can wear them to work. I love the collars, a bit Mad Men. 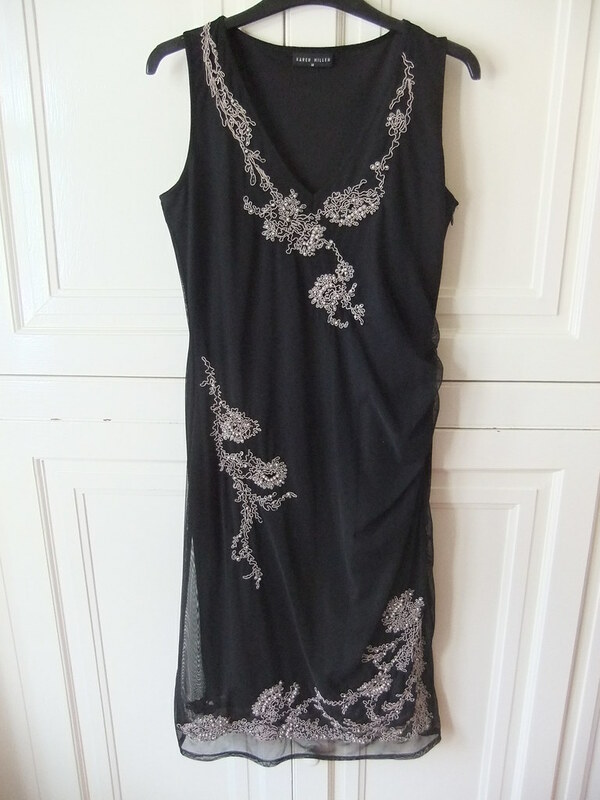 Intimissimi dress, £2. Blimey, this one is low cut! I might have to layer a camisole underneath. Not one for work. 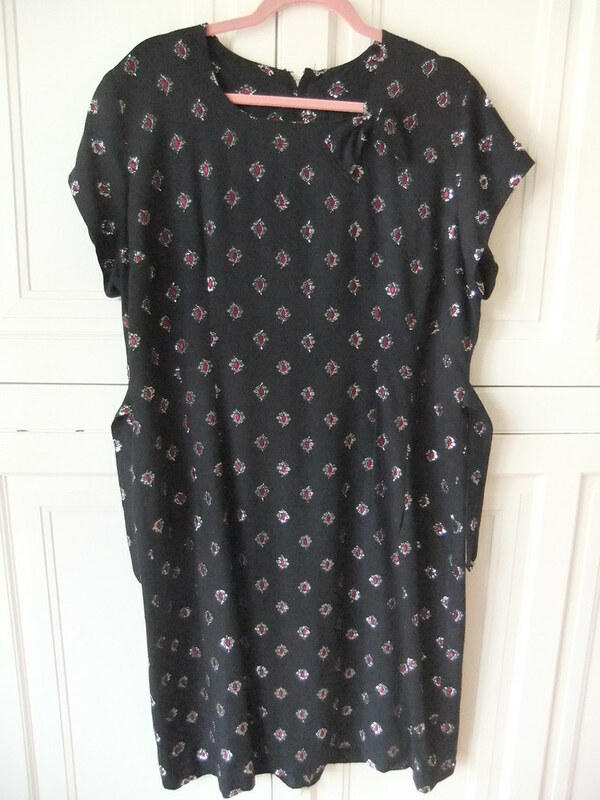 New Look dress, £1. I love the collar and cuffs, and could always layer a longer skirt over the top to make it work appropriate. 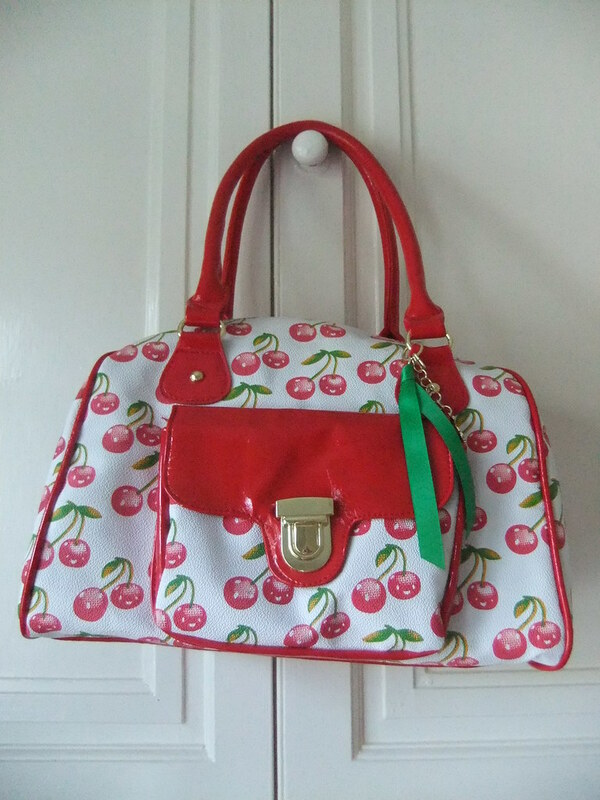 Finally, a cherry-print bag for £1. It might be my holiday bag this year. 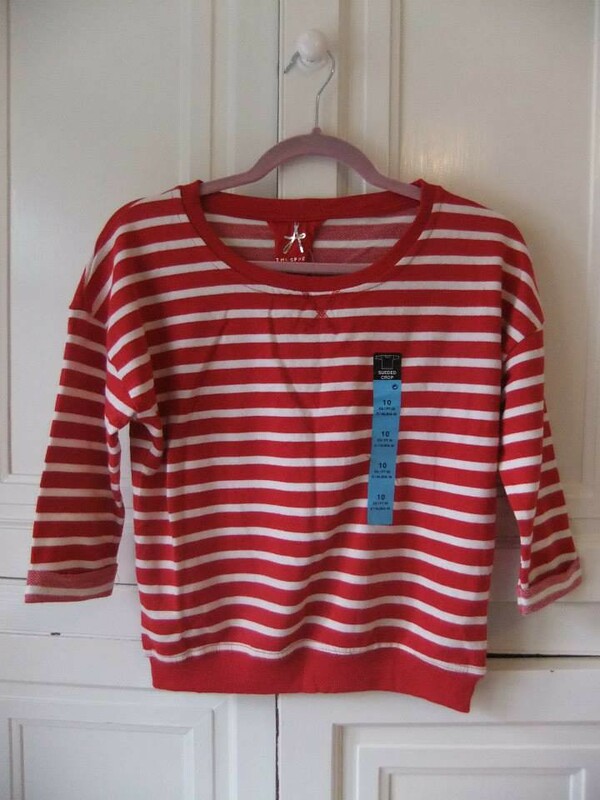 Red Herring tunic, 50p. Already worn this, love it, and has great sequin detail that you can't see in this photo. 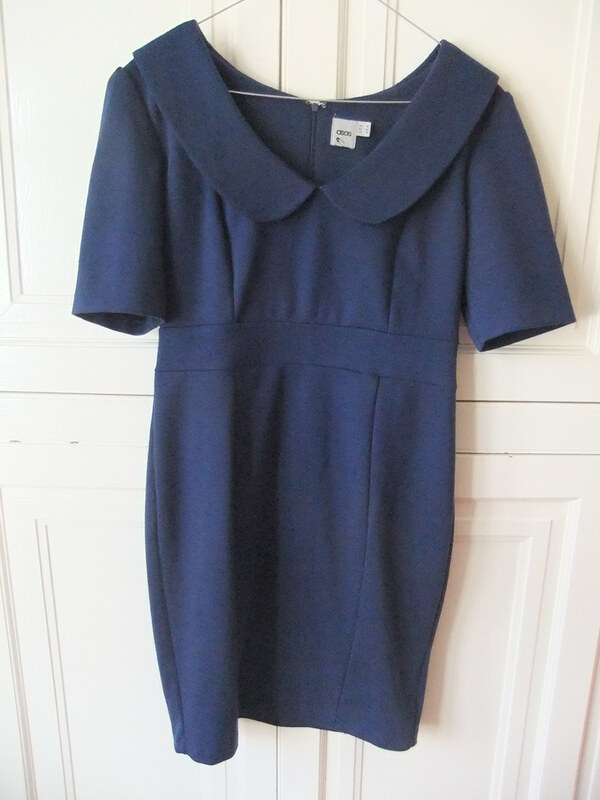 But I must remember to wear a padded bra with this one, otherwise it's a bit baggy on top! Striped top, 50p, that turned out to be a size too small, and will go back into the charity shop bag. Didn't have a photo of that one. 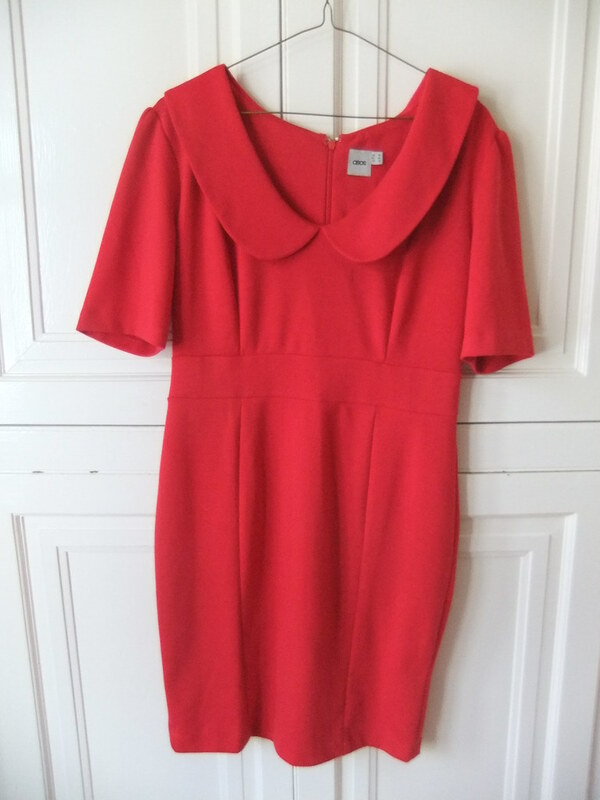 More for my friend, red jumper, £1, and rockabilly style dress, £2. Total spend on myself, £29.50, with a little more on a few things for some friends. I am all shopped out now and need to avoid buying anything more until I've actually worn all of these purchases and haven't just flung them into the depths of the wardrobe. Because this is basically a whole new wardrobe isn't it? Oops. I went back and donated a bag of clothes to the one charity shop because I felt they might need to replenish their stock. 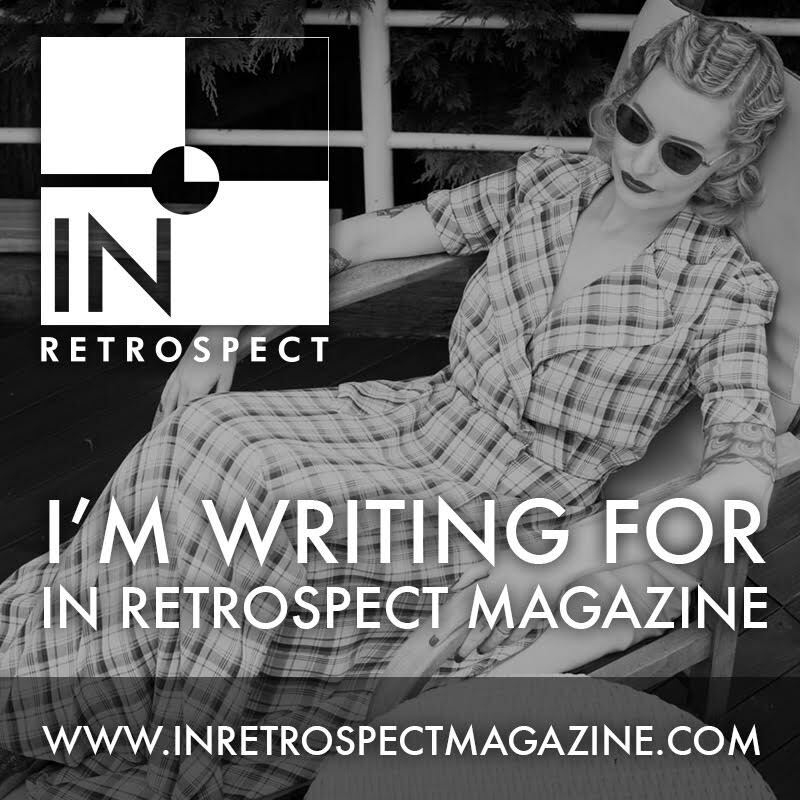 So, it seems I have a 'spree' about twice a year, but at least these days I'm not spending that much and running up credit card debt, like the days before I discovered the joys of vintage and secondhand. Car boot sale season will soon be winding down and wet days will force me to stay indoors and tackle some sewing projects, which I'm quite looking forward to. What's your favourite out of the items I purchased? Do you feel better about secondhand purchases than buying new? Blimey, what a ton of gorgeous bargains you got! There's some great stuff here! I loved reading your post and looking at all your purchases in detail. Its like charity shopping by proxy. Tee hee, that's why I love your shopping posts too!! Wow! You really did buy a whole new wardrobe! What a steal! My favourite by far is the brooch. Just love it. I actually feel good when I buy used,thrifted or vintage items as compared to when I buy retail and often feel guilty. Normally you wouldn't be able to get one piece for the amount you paid for all of that if you'd shopped retail. That is fantastic that you got some many pieces for so little money. I try to be a good bargain shopper, but I could definitely stand to cut things back a little bit. One of my goals for my fall wardrobe is to spend less and thrift more, so this is some great inspiration. I think my favorite pieces that you picked up are those dresses from Asos. The shape and style is really great, and I love those collars. Quite the haul! And that brooch! So amazing!!! Wow, I think that is the actual definition of haul! Really good work - you're making me feel bad about my brand new obsession... or at least like I should rethink it! 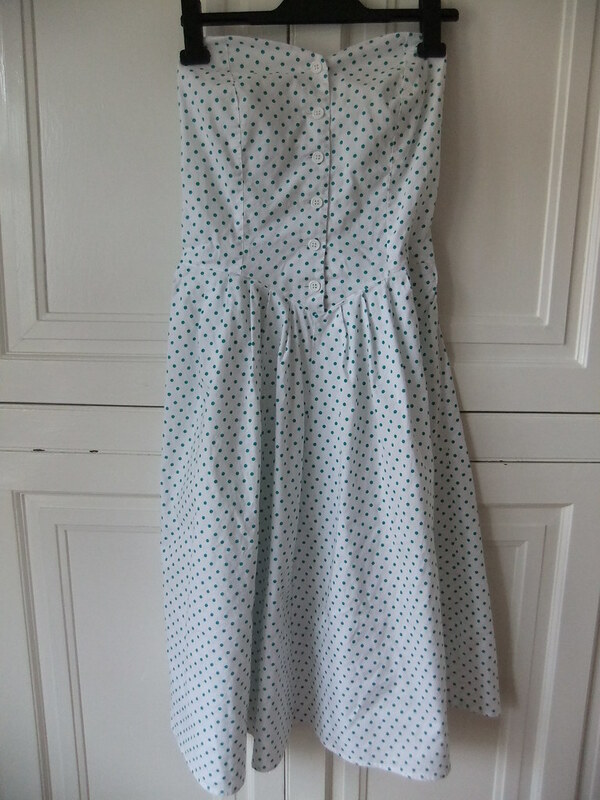 I love the white spotty dress, I think that'll look fab when you've given it straps - that's such a good idea to take material from the hem! Can't believe I've never thought of that before... not like I don't get nearly every one of my dresses shortened!! Wow! That is quite a haul! I love all the founds you made! 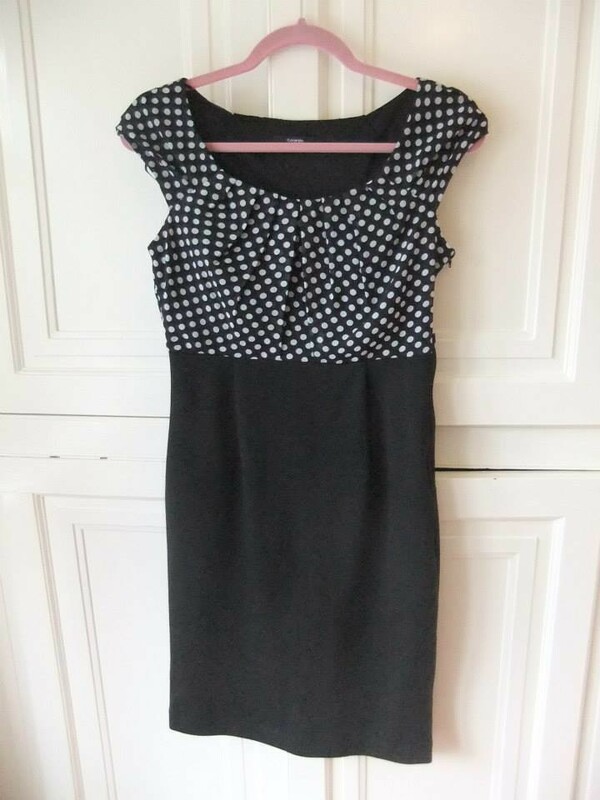 My favorites are the 80's dress, the 1950's dress, that necklace!, your f&f floral dress, the two asos dresses, the black and white polka dot with white collar and cuffs and that super cute cherry purse! But like I said, I love all your finds! 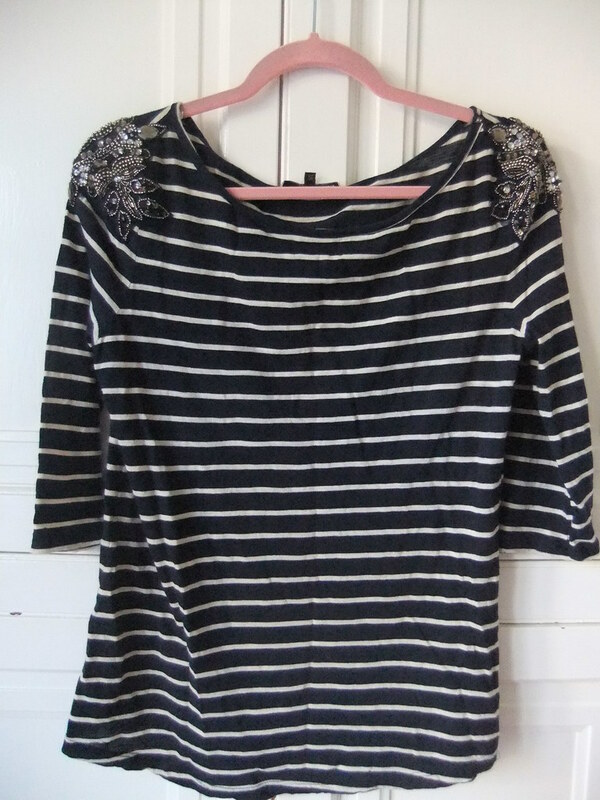 I like the striped shirt with the bead work on the collar. I hope you will get at least one wear out of it before you start using it for extra beading! I think that 80's dress would look fabulous as a halter if you wanted to go that route with the straps. And I think your plan on altering the 1950's dress by first taking in the sides then the darts under the arms... With the last dress I took in I had good luck with just taking it in where seams were already. I hope it works out! I used to really love thrift shopping but now a days I just really really love the convince of buying online! Woow !! Love all these treasures !! Polka dots are the best thing in the world .. and that bag of cherries quickened my heart. I wish we had thrift stores in my town. I am very jealous, dear Lady !! I like the spotty H&M dress. Wow, what an amazing haul! 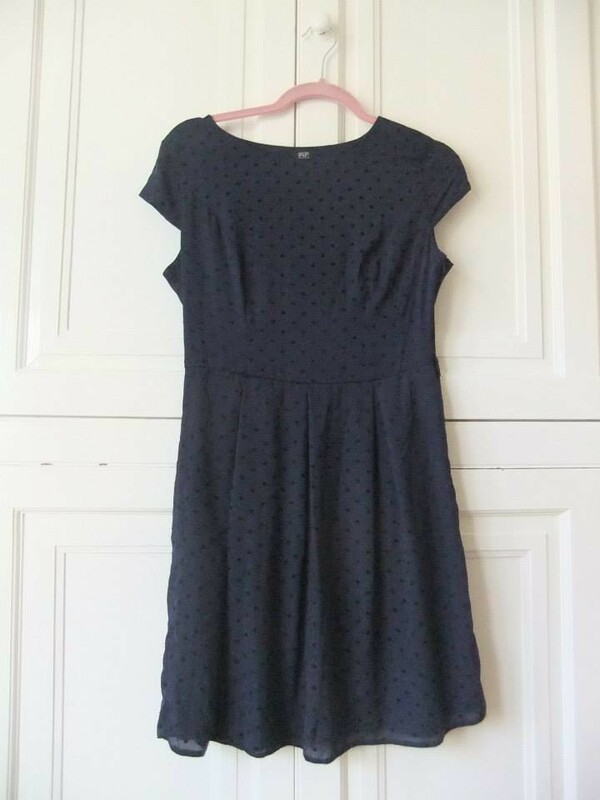 I can't believe you got that gorgeous polka dot dress for £1.50 - what a steal! It's been absolutely ages since I went charity shopping (we don't have any near us, so I have to make a special trip for it, and I never seem to find the time! 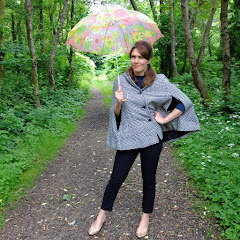 ), but this has definitely inspired me to make the effort! Wow, wow and wow again!!! What a major scoring run you've been on lately, dear gal!!! I had to scroll back through the photos again just to make sure I didn't dare miss any of your fabulous finds. 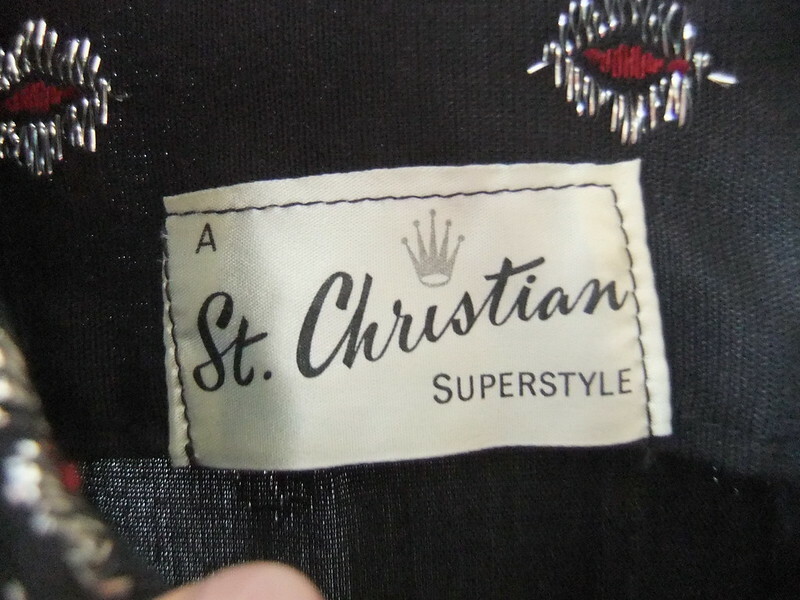 You really unearthed some fantastic vintage and vintage appropriate pieces. There's almost a whole instant wardrobe in these items alone. Way to shop, save and score!!! Wowsa you did well..!! love all but the asos dresses are my fav. and will be so versatile!